The underlying reasons why corporate email archiving is important. Over the past few years, email has become an integral part of the business workflow. 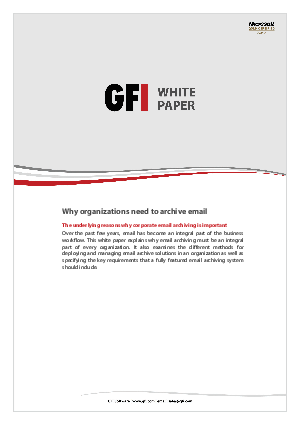 This white paper explains why email archiving must be an integral part of every organization. It also examines the different methods for deploying and managing email archive solutions in an organization as well as specifying the key requirements that a fully featured email archiving system should include.